DETROIT – Oct. 2, 2018 – PRLog — As a songwriter and recording artist for multiple record labels throughout the 60s, singer Tony Clarke scored a Top 40 hit of his own with “The Entertainer” on Chess Records. As a composer he wrote songs for artists including Etta James, David Ruffin, and Aretha Franklin. His work is renowned in England as a part of the Northern Soul scene with his own hit song “Landslide,” and compositions for Buddy Smith, The Fabulous Peps, The Vibrations and more. After his musical success, Chess Records gave him control of his own Record Label Imprint, Brute Records. Now, under the direction of his son Geno Clarke, the first releases on Brute Records in 50 years are announced featuring never before heard lyrics written by Tony Clarke before his passing. This newly recorded set of two 45rpm 7″ vinyl singles (available for Pre-Order as a limited signed package at https://dsdrums.com/tony-clarke-7-singles ) features the voice of Yvonne Vernee, lead singer of the Motown vocal group The Elgins (“Heaven Must Have Sent You,” “Darling Baby”). Before joining The Elgins, Vernee recorded a Northern Soul classic of her own, “Just Like You Did Me,” written by Tony Clarke. Together with McKinley Jackson (Musical Director for The Temptations and Marvin Gaye) and Drew Schultz (Musical Director for the Four Tops, Percussionist for Aretha Franklin), lyrics that were written by Tony Clarke but never completed before his passing have now been put to music. 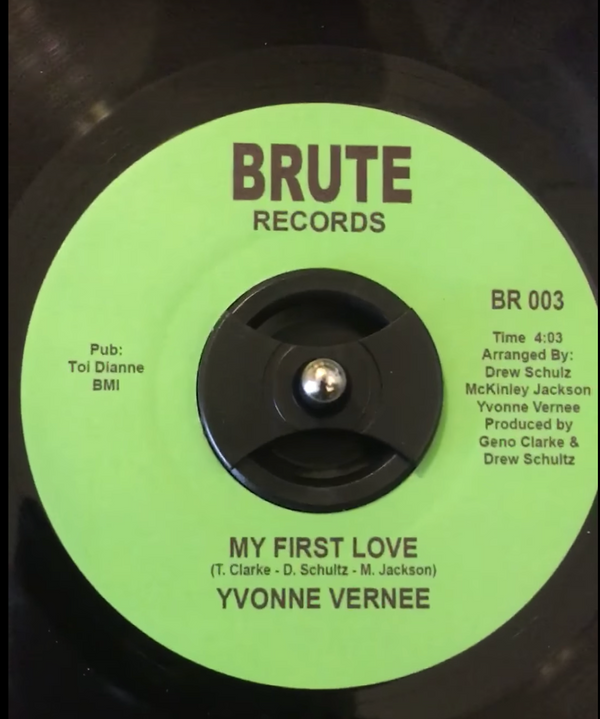 One new composition, “My First Love,” features a full and lush arrangement with sweeping strings and horns that evoke Detroit’s classic 60s soul. Additionally, new Tony Clarke lyrics were merged with Yvonne Vernee’s original hit “Just Like You Did Me,” resulting in the lively song “You Can Do It.” The energy of the original 1960s recording was recaptured with the aid of Drew Schultz & The Broken Habits (Schultz, Carlton Washington, Matt Ryan, Mike Harrison, & Trish Shandor), recorded in Schultz’s Detroit studio. This new recording brings a fresh vocal and lyric to a familiar Northern Soul sound. In addition to this renewed take on the classic, a rerecording of “Just Like You Did Me” sees Yvonne Vernee sounding as powerful and energetic as she did 50 years ago. Special edition original pressings of only 300 copies are currently available for pre-order. This package includes both 45rpm 7″ vinyl singles (“My First Love” b/w “You Can Do It” in addition to “Just Like You Did Me” b/w Instrumental), plus reproductions of Tony Clarke’s handwritten lyrics for these new songs. The initial 300 copies of the package are signed by Geno Clarke, Yvonne Vernee, and Drew Schultz.